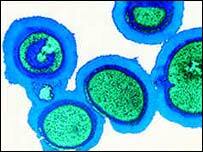 BBC NEWS | UK | UK Politics | Election 2005 | Why has MRSA dominated the headlines? Looking at the election coverage you could be forgiven for thinking only one important issue faces the NHS - how to deal with MRSA. The hospital superbug has dominated the headlines with regards to health from the moment Tony Blair fired the starting gun. GP waiting times briefly burst on to the scene last week - raised by a member of the public during the BBC Question Time leaders special. But the politicians themselves have chosen to focus heavily on hospital hygiene and infection rates. MRSA has become the focal point for health despite being linked to under 1,000 deaths a year, compared to 117,000 for heart disease. The election debate has also glossed over the public health crisis, which only last autumn was being hailed as the most important challenge facing the NHS as the government published its Public Health White Paper amid rising levels of obesity and binge drinking. Joe Farrington-Douglas, a health and social care researcher at the Institute of Public Policy Research, said the obsession with MRSA was symbolic of the wider campaign. "The election has been fought on fear, whether it is asylum seekers, immigration or superbugs. I think it has tapped into the national psyche," he said. "The debates are not about big ideas or ideology, but about trust." Mr Farrington-Douglas also believes MRSA is different in the sense that it goes against what the NHS stands for. "People go to hospital to get better, but with MRSA people are going in and becoming ill."
The "easy to understand" nature of MRSA gives it added appeal as an issue, said Ruth Thorlby, a researcher at the King's Fund. "It is about simple messages in a way that private sector involvement in the NHS is not," she said. Ms Thorlby also said there was not a great deal of difference between the parties' policies, particularly Labour's and the Tories', so the debate had ended up as a row over how clean hospitals were. She said it was disappointing health inequalities, mental health and care of older people had not featured. Paul Farmer, chairman of the Mental Health Alliance, which represents the 50 largest mental health groups, agreed, saying mental health had "hardly been covered". "It is a shame that other issues have not been looked at in depth. "There is a lot to address in terms of the Mental Health Bill and the standard of services. But we haven't heard it." Calls for wider coverage of non-MRSA issues have also received support from more unlikely quarters. Tony Field, who had two consecutive hip replacements which both became infected with the superbug and now runs victims' group MRSA Support, said: "I think other issues should have been covered in more detail. "MRSA has been constantly in the headlines and that is good for what I am trying to do, but other groups will no doubt say their subjects are important too. "I suppose the one difference with MRSA is that it is completely avoidable." The British Medical Association highlighted public health as one of the major issues they would have liked to see more on. But Paul Grime, chairman of the BMA's occupational health committee, said he hoped one consequence of the focus was that real improvements in tackling MRSA will be made in the next parliament. "Going into hospital can be a daunting experience, the idea of getting an infection like MRSA when you are there is worrying for anyone. "Hopefully politicians are heeding people's concerns, but whoever is in government it is important they take urgent and effective action to back up the rhetoric."